Santa Cruz resident Jan Karwin worries increasing the density of her neighborhood will also increase traffic. Santa Cruz is boxed in by a greenbelt and the Pacific Ocean. To make room for future growth, the city plans to increase the density of housing and businesses along four major corridors. That’s causing some to worry about increased traffic, but city planners envision a future with fewer cars on the road. The roughly 64,000 people who live in the City of Santa Cruz are squeezed into about 13 square miles. That’s it. Recently the city adopted a General Plan to accommodate internal growth and development up to the year 2030. “I just want to be clear. We’re not talking about building anything,” says Michelle King, the senior planner for the city’s Corridor Planning and Rezoning Project. The focus is along the city’s four primary traffic corridors: Ocean Street, Mission Street, Water Street, and Soquel Avenue. The rezoning would allow for increased density of up to 55-dwelling units per acre along those four roadways, with an emphasis on mixed-use projects that combine homes and jobs for a growing population. At a recent community meeting to discuss the plan, questions came up about the link between residential density and traffic. Principal Planner Ron Powers concedes that adding more density to the city’s traffic corridors will add more cars “Won’t adding density add more cars? Yes, and some of those intersections increase capacity, some decrease, based on the General Plan growth, which is part of what we’re looking at,” says Powers. In the meantime, the traffic issue has people who live on, or near these corridors, speaking up. 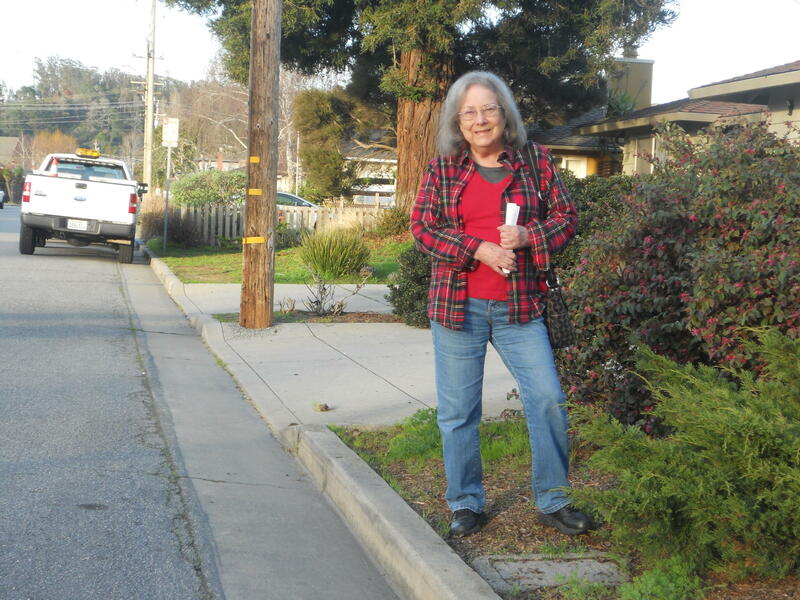 I walked along Soquel Avenue with Jan Karwin, 2-blocks from where she lives in the East Morrissey Neighborhood. We stopped at Hagemann Avenue, where new construction approved under the current building code, is about to begin. That’s where Karwin told me that people she knows, have questions about the height of the building planned for that intersection. They wonder how a building that’s 3-stories (40-feet) high will affect adjacent neighbors and how it will impact parking. Karwin worries that re-zoning Soquel Avenue will result in even bigger buildings and heavier traffic. “This is our boulevard. This should be a walkable neighborhood street, a place where we shop. And right now, it’s a 4-lane racetrack,” says Karwin. The city will continue to work out the details for the new zoning codes and strategies throughout 2016. The next Corridor Advisory Committee Meeting is Monday, February 29th from 5:30pm to 8:30pm at the Louden Nelson Community Center in the multi-purpose room.